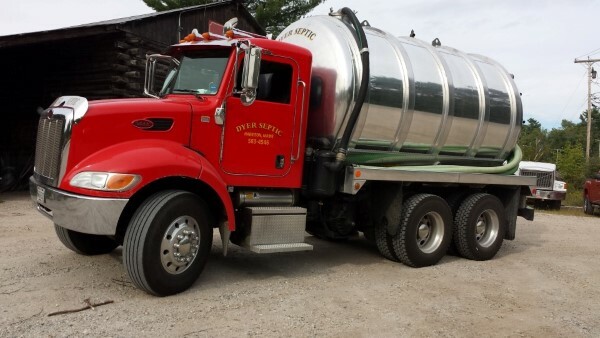 Solve all your septic needs with services from our company located in Harrison, Maine. 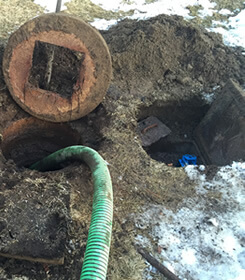 We provide septic tank pumping services to over 30 towns in the Sebago Lakes Region and Oxford Hills Area. 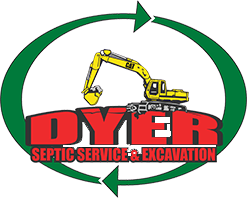 At Dyer Septic and Excavation Inc., we are able to accommodate our customers with full service for all your septic system needs for both residential and commercial septic waste requirements. Rick has developed an uncommon method in the septic industry with his Department of Environmental Protection (DEP) licensed Waste Disposal and Compost facility. This has transformed the company into an Eco-Friendly facility by taking the waste water and turning it into a usable and safe product. Not only does this process save our customers money but it is also very beneficial for the environment. Gurgling from drains or basement. Toilets not draining or draining slow. Odor coming from above your system. Pooling near tank or leach field. If you experience any of these signs and they are left untreated the septage begins to surface above the ground. It may surface either where your septic tank covers are located or in your home. A filter is typically a long plastic colored tube with a handle at the top, they are located in a baffle. These filters help ensure that no solids get out to your leach field, essentially prolonging the life of your leach field. They should be cleaned at least once a year and can be a cause for a backup. We offer this service free at the time of a pumping. Root Removal is a service we provide along with a tank pumping. Roots from trees and shrubs grow in and around your septic tank covers to try and get to the water in the tank. The roots that get in the tank can create a blockage on either end of the tank causing a back-up. We offer this service free at the time of a pumping. The snaking of the line helps to clear line blockage from the house to the tank so you can use your water. When you’re experiencing a backup this may be the cause. We offer this service free at the time of a pumping. If you’re backing up and we come out to service your tank, we will make sure to do everything we can to clear your line. We have many methods to solve septic issues and if we can’t fix the issue, we will refer you to someone we trust who can. We offer this service free at the time of a pumping. Tank Inspections are typically done before the selling of a house. With these we usually ensure that the level in the tank is at a normal level, we also make sure that the baffle located on the leach field end of the tank is intact. We offer this service free at the time of a pumping. NOTE: This is ONLY a tank inspection, NOT a septic system inspection.